Don’t worry, it’s not un-manly to actually use something other than soap to cleanse and nourish your skin and hair. If you still cringe at the thought of proper grooming, baby you need help. Just try the following, and if you still aren’t doing well with women, perhaps the answer lies in our fashion pages. 1. Morning Call – If you don’t already do this, honey, you are in big, big trouble. Washing your face in the morning is integral. Make sure you use a facial cleanser (no, not soap). An exfoliating scrub two to three mornings a week helps remove dead skin cells (the flaky stuff on your face the morning of a hangover) and prevents breaks-outs and blocked pores. Massage the scrub gently in a circular motion, and not in the manner you would remove grease from a frying pan. 2. The Shower – Lukewarm water is best, as hot water will strip your skin of its natural oils. Use a loofah (a rough sponge made from the fruit of a tropical plant) to remove dead skin. Shampooing doesn’t just encompass hair, but your scalp as well. Massage shampoo into your scalp with your fingertips and rinse. Use a conditioner to tame wild locks. Rinsing your hair thoroughly will prevent the build-up of shampoo residue that results in dry and “flat” hair. 3. Close Shave – Best to shave while you are still in the shower as the steam softens the hair shafts. Shave with the grain as much as possible, and use a razor with two parallel blades to prevent less irritation. Once you are out of the shower, slap on alcohol-free toner followed by moisturizer to keep your cheeks and chin soft, and your five o’clock shadow at bay. 4. Take care of your beard – The key to taking care of your beard is to clean, moisturize and maintain its shape. Clean your beard using special beard shampoo, moisturize it using special beard oil and try to brush it once in a while. If it is already growing out of shape, we would recommend to keep scissors and tweezers nearby. 5. Gel It Up – Try not to blow-dry your hair too often as it will become brittle. To keep your glorious mane in place, use gentle styling products like gel, spray or a light mousse. 6. 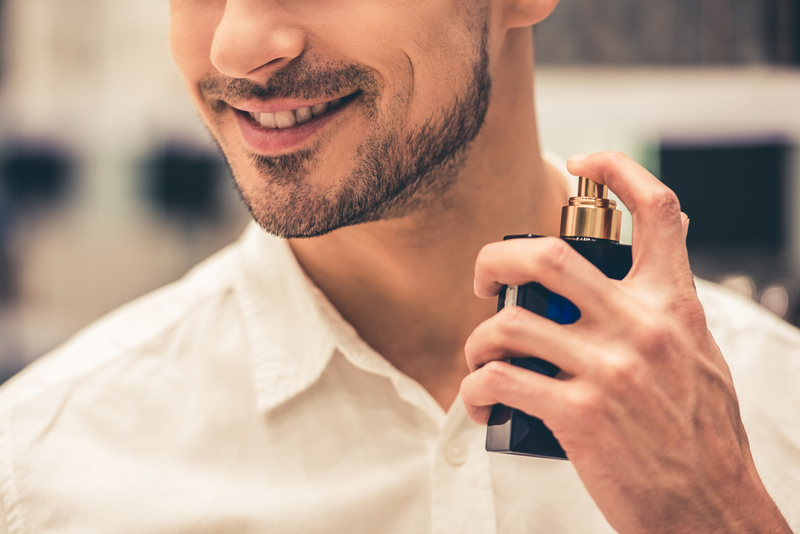 Smelling Suave – No matter how much you think you don’t stink, it would be advisable to wear a scent-free antiperspirant-deodorant, followed by your fave cologne or perfume. Remember, two clashing scents can result in stench. 7. Pearly Whites – The best time to brush your teeth is right after breakfast. Brush for at least three minutes, including the small slab of muscle beneath your palette. Flossing regularly will get rid of food particles that can cause nasty tooth decays and toothaches. 8. Sun Screen – Guys are more vulnerable to the wind and sun because shaving strips away the uppermost layer of skin. Use water-based, oil free sunscreen and a UV-resistant lip balm. 9. Working It Right – There is no substitute for exercise. It keeps your blood circulating and therefore, your skin tight and supple. Never, ever touch your face with hands that have been on shared gym equipment. For obvious reasons, it promotes zits, blackheads and everything you don’t want on your face.